The about 14 Oil Marketing Companies found culpable in the illegal diversion of premix fuel, have been banned and will no longer receive premix fuel supplies from the National Premix Fuel Committee. 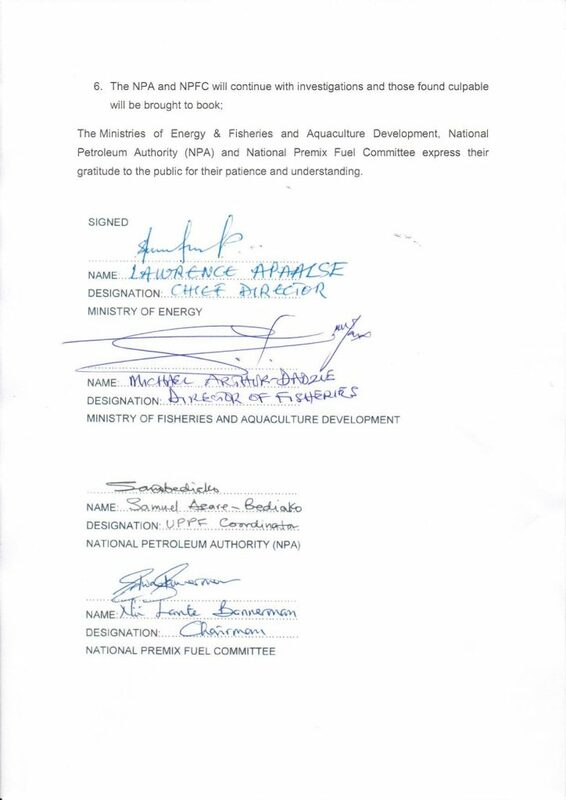 This was contained in a joint press release issued by the Ministry of Energy, Ministry of Fisheries and Aquaculture Development, National Petroleum Authority and the National Premix Fuel Committee after an emergency meeting over the recent premix fuel diversion scandal. 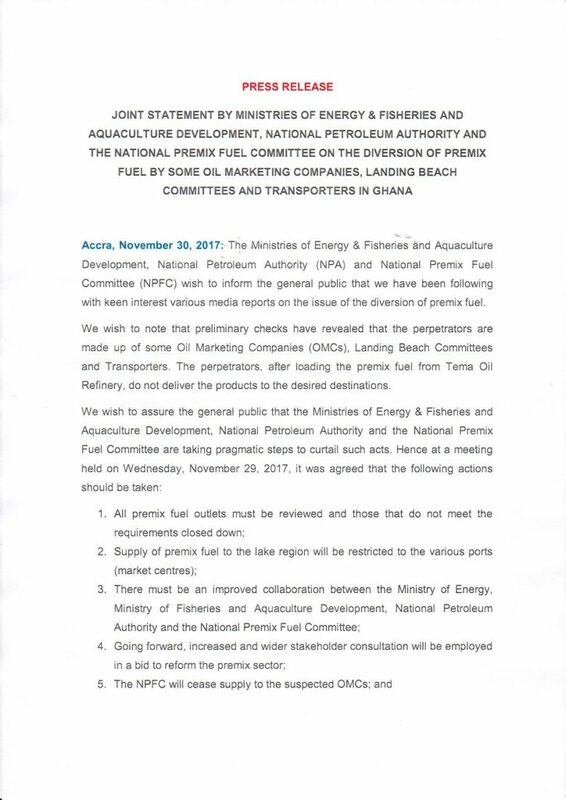 Among the 6-point resolutions taken at the meeting last week, all premix fuel outlets in the country will be reviewed for compliance with standard requirements with those that fall short being closed down.